This modern cappuccino bonded leather relax chaise lounger will make a wonderful addition to your living room. Its contemporary style enhances any room with its long cushioned seat and slightly angled lines. The stitching, matching accent pillow and tufted design enhances the look of this lounger, while still offering you ample room to relax. The chic design creates an inviting feel, and solid feet and arms provide sturdy support to this piece. 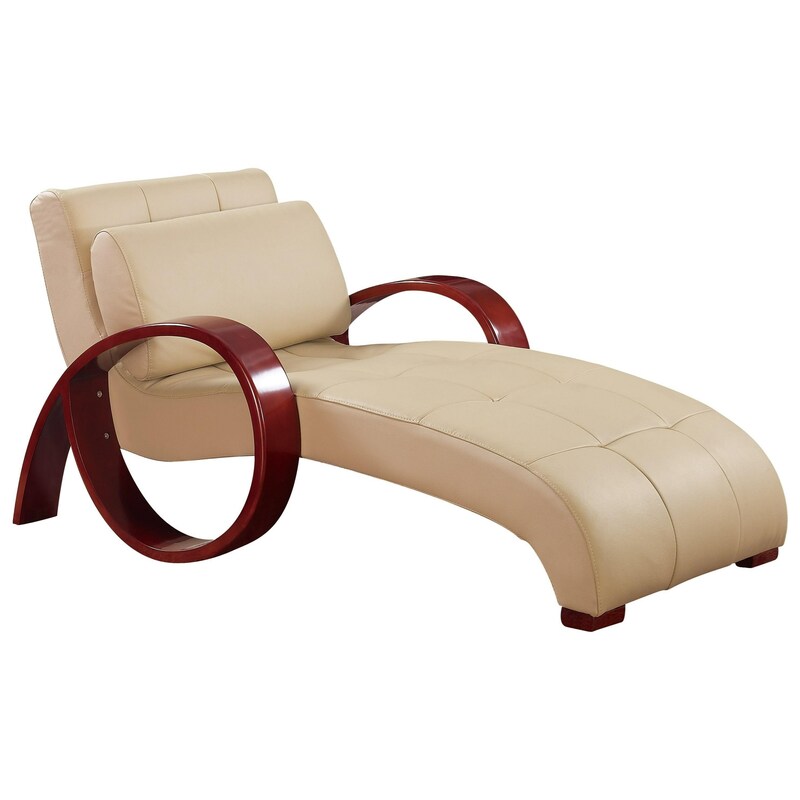 The U963 Modern Chaise with Circular Arm Design by Global Furniture at Value City Furniture in the New Jersey, NJ, Staten Island, Hoboken area. Product availability may vary. Contact us for the most current availability on this product.